Vijayawada Shailaja theatre decoration on the eve of Maharadhi release. Thanks to Bhushan. maharadhi is a good family entertainer. [markup=]maharadhi is excellant movie & balayya performanca is excellent. mana balayya maharadhilo chala baga chesadu eyear biggest hit avutundi…. movie is really good and performence is also very good…. it’s was very good movie. [markup=]Super hit. 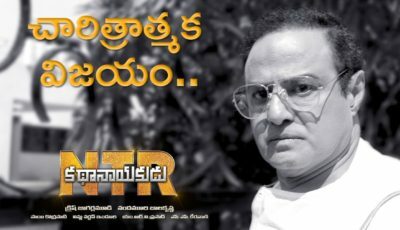 no body in the industry can act 4 characters except ntr. [markup=]Super hit. no body in the industry can act 4 characters escept ntr. His interpretation of Bala Krishna character is excellent. He has shown a knack for comedy with the antics of the goon who is addicted to alcohol. Bala Krishna before has never attempted this kind of character. He should also be appreciated for donning the fourth get-up in the film. This is a kind of rare and unique gesture by Bala Krishna who has acted the roles of the kurupi character in Bhairava Dweepam and the wanderer character in Maharadhi. His mass mannerisms in second half are good. [markup=]Maharadhi is excellant Movie & Balayya Acting is very extraordinary, he will defenately get award for this movie. Maharadhi will create new record in film industry. See & Enjoy the movie. [markup=]Maharadhi SUPER Hit, yes friends i have collected genuine reports and learnt it as a 100% paisa vasool entertiner. Balayya has enthralled the fans with his performance. Watch it as early as u can. 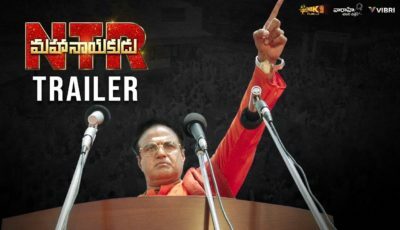 mana balayya kalmashum leni maha manishi . Maharadhi hit tho mana balayya manalni kanuvindhu chesthadu. [markup=]hai everybody .i hope that this picture will become asensational hit and it will become a base for the next super hit combination.Enjoy all balakrishna fans.photos are verygood. It’s great work, i hope MAHARADHI is the biggest hit in 2007. I am a software developer in USA.Most of our fans in USA are dreaming about our PeddaAnnayya future in coming three years.Somebody told that PeddaAnnayya ki manchi rojulu vatchaayi ani.That’s true.It’s clearly visualizing in our minds.Manam chanipoyenta varaku mana “Manchi mansunna Balayya” thone vundaamu.Aa pina devudu manaku thodu vunnadu. We hope “Maharathi” will be the biggest hit in 2007. [markup=]Thirugu ledhu balayya ki…super hit…….thondaraga talk cheppandi…………. [markup=]The songs are superb. Quite an impressive work by GuruKiran. Vaasu gari work intakamundu choosaanu kaabatti idi definite gaa aa levels lo untundi ani anukuntunnanu. Balayyababu ki idi exceptional hit kaavaalani hope chestunnanu. [markup=]All the best for balayya and all nandamuri fans. mana mandaramu aa peddayananu,aa pinunna devunni aashirvadinchamani korukundam. at present i am in Milano (Italy), koncham mana cinema news ikkada pettandi.Chaala tension gaa vundi,koncham mamlni kooda gurthunchukoni thondaraga news cheppandi. [markup=]nenu eppudu ee site chudaledhu ..
naa cinema ki kuda meeru elaa ne prothsaham ivvandi…. mee abhimanam tho….Y V S Chowdary..! Viswam vunnatawaraku Viswavikhyatha… Natana vunnatawaraku Nataratna….yugam vunnatawaraku yuwaratna…. NEXT *MAHARATHI FAMILY SENSTIONAL HIT. AND ALL INDIA RECORD *. *MAHARATHI FAMILY SENSTIONAL HIT. AND ALL INDIA RECORD *. *MAHARATHI FAMILY SENSTIONAL HIT. AND ALL INDIA RECORD *. *MAHARATHI FAMILY SENSTIONAL HIT. AND ALL INDIA RECORD *. *MAHARATHI FAMILY SENSTIONAL HIT. AND ALL INDIA RECORD *. *MAHARATHI FAMILY SENSTIONAL HIT. AND ALL INDIA RECORD *. *MAHARATHI FAMILY SENSTIONAL HIT. AND ALL INDIA RECORD *.